It is only by making disability a societal issue that prejudice can really begin to be challenged and people with disability can feel fully included, writes Georgia Cranko. The narrative of my disability begins with a single moment. The moment, when my mother realised her weaker and sicker baby was turning over, while her bigger, fatter and seemingly healthier baby was not. Just as that moment defines a significant part of my history, so does my subsequent diagnosis of Cerebral Palsy and the regime of intense therapies that followed. Cerebral Palsy is an umbrella term for a type of brain damage, when messages sent to muscles get scrambled. It’s a condition that has left me with limited use of my right side, a pronounced limp in my gait and no recognisable speech. I am in no way bitter about my disability. However, being a twin, I am perfectly poised to see the disparities between how my sister functions and how I function. I don’t have any illusions about my disability. The fact of the matter is that I need more help than I would like – sometimes physical help, sometimes financial, but often both. This has been the case throughout my 21 years, although I never really feel ‘disabled’ when I’m pottering about, doing what I do. It is only when I venture out into society and ordinary people seem nervous of me that I actually feel disabled. They are afraid to interact with me, and think I don’t understand what they are saying. Not unless they shout in clearly enunciated sentences. This is why it is very fortunate that I have two loving parents. They made sure I got whatever was considered the best therapies at the time, and the education I deserved. They always found a way to raise the money for the equipment I needed. Although I have had to put up with people’s fears and preconceptions all my life, I do believe that today’s society should be treating its weaker members with a bit more empathy and a lot less sympathy. People with disability are often depicted in the media as either being amazingly courageous, or suffering as a result of their disability. We are neither. We are just people, trying to live decent, fulfilled lives, and doing our best to make do with the current piecemeal funding scheme for disability. The lack of adequate funding means so many of our basic daily needs aren’t being met. As the Productivity Commission’s draft report states, “[The current state of disability support] provides no certainty that people will be able to access appropriate supports when needed”. We can wait years for essential equipment, such as communication devices or wheelchairs. And I can guarantee that there are people sitting at home right now, just because they don’t have enough funding to pay for support workers to accompany them to the shops or to a movie. Similarly, there is an army of carers out there who are worried about who will take care of their children with disabilities when they die. That’s when the suffering because of disability comes in. The new National Disability Insurance Scheme (NDIS) proposes to offer funding on the basis of need. In the present system you spend an awful lot of time filling in forms, ticking boxes, and proving to government departments just how disabled you actually are in order to get the basic resources you need to survive. On the other hand, the NDIS would make funding an integrated function of government, so that people with disabilities will not have to grovel for say, more personal care hours, a new tray for a wheelchair, or accessible accommodation. It would be a consolidated, individualised scheme, where things that an individual requires will be provided as a matter of course (similar to the insurance scheme for those injured in car accidents). Personally, the NDIS definitely would drastically improve my life. For example, I could upgrade my communication device as technology evolves without fearing an eight-month (or longer) wait. I also could pay support workers to accompany me to university and make communication more fluid. Some time in the near future, I hope to move out of my family home and the NDIS would provide me with some sense of security and confidence, knowing that the transition would be fully supported and my needs will be met along the way. This system would enable people with disability to get enough support to do a lot more mainstream activities, get an adequate education, and be assisted in the way they choose. Australian society needs to embrace the change, as it would lessen the weight of disability on countless lives. 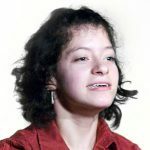 I feel it is only by making disability a societal issue that prejudice can really begin to be challenged and people with disability can feel fully included. There is more to do to make the NDIS a reality. Click here to take action. Georgia Cranko graduated fro St Scholastica's College, Glebe, in 2010 and is currently studying a Bachelor of Arts (Psychology) degree at Australian Catholic University. She feels compelled to advocate for those less fortunate than herself and does so through writing, giving presentations and performance art. As part of the 2010 national Don't DIS my ABILITY campaign, Georgia presented "Living WITHin Context" at Marrickville's Red Rattler Theatre. This live performance explored the challenges and triumphs of life with a physical disability.